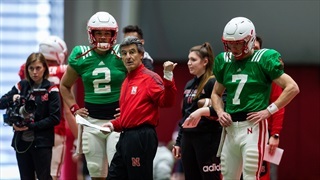 Nebraska quarterback Luke McCaffrey came in well-prepared for a true freshman. He also has a key advantage of other freshman QBs: plenty of time to soak up as much teaching as possible. 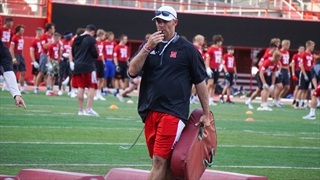 Curious what, if anything, surprised the Husker assistants about their first year in the conference, Hail Varsity talked with four of them. We’ll have the remaining guys at a later time. Here’s what they had to say. 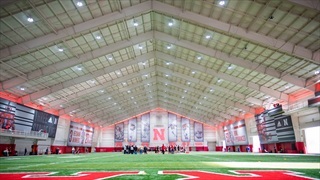 Nebraska football kicked off Week 2 of spring practice this week with morning drills on a Monday. Here's a roundup of the major news of the day. 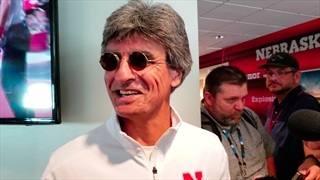 It was a drama-free National Signing Day for the Huskers. But that's a good thing in this case. 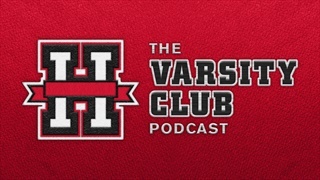 Recruiting expert Greg Smith joins the podcast to help put a bow on Nebraska's 2019 recruiting class and talk hits, surprises, overreactions and more. The forecast doesn't have Saturday looking like an ideal day weather-wise, but Nebraska's staff maintains the offense will be just fine whatever it is. 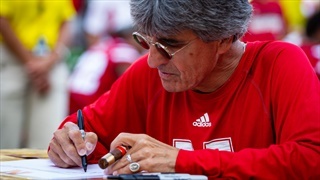 Nebraska quarterbacks coach Mario Verduzco is a Broyles Award nominee, which isn't easy to do as a position coach. 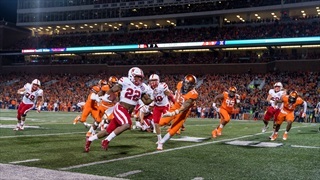 Illinois defensive coordinator Hardy Nickerson resigned on Oct. 29 and head coach Lovie Smith taking on defensive play-calling duties provides a unique challenge for Nebraska's coaching staff this week. 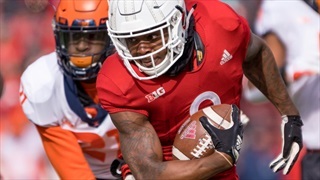 Illinois head coach Lovie Smith took over play-calling duties for the Illini, and Nebraska coaches noticed a difference right away on film. That and more from Wednesday's practice. 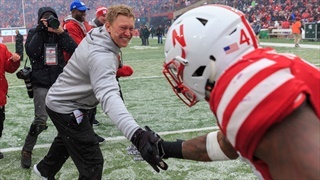 In this week's mailbag, Brandon Vogel, Erin Sorensen, Greg Smith, Jacob Padilla and Derek Peterson tackle your questions ranging from recruiting needs to changing narratives and basketball expectations. 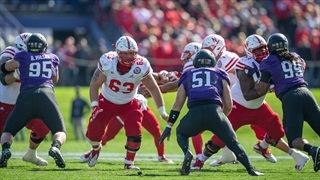 Nebraska nearly had its first win of the season in hand at Northwestern and felt some frustration at letting one slip away. 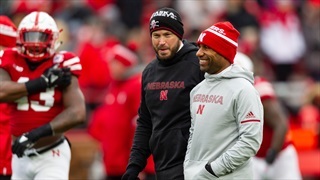 OC Troy Walters said it hasn't hampered the Huskers' focus this week. 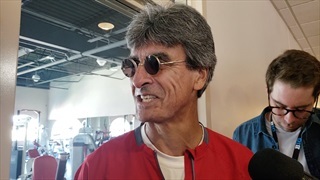 When quarterbacks coach Mario Verduzco says his guys are good to go, it’s not really just a feel thing. 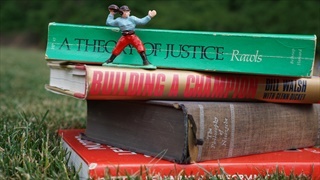 He has actual physical evidence to back it up. 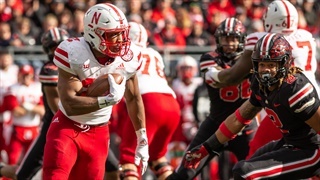 Nebraska's offense met with the media Wednesday and a lot of the focus rested in the Husker backfield. 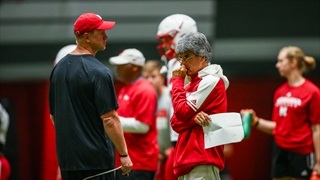 It's an all-football mailbag this week, just in time for the Huskers' season-opener against Akron. 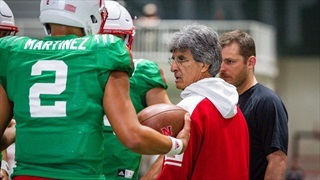 Nebraska quarterbacks coach Mario Verduzco uses the world's collected knowledge to help produce better quarterback play and the results speak for themselves. 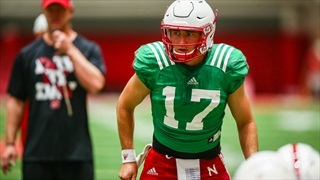 Scott Frost knows who the Huskers’ starting quarterback will be on Sept. 1 against Akron, but he wasn't ready to break the news following Friday's practice. Nebraska's offense met with the media Wednesday and, well, most of the talk was about what you would expect. 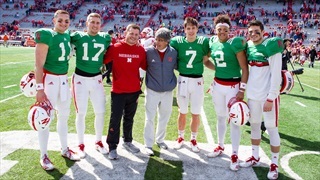 We went into Fan Day with three questions for Husker players and coaches: who was your first autograph, when did you give your first autograph and who has the worst handwriting? Their answers did not disappoint.